Do you whiten your teeth at home? Or at an office? Here are some questions answered by Dr Singh on the ups and downs of whitening your smile! Can you provide some insight into the difference between at home whitening vs. whitening you receive from your dentist? Ie what sort of results would one expect from one vs the other? What are the dangers for each procedure? What should you be aware of? In office teeth whitening is the most thorough and quick way of getting the teeth their whitest. 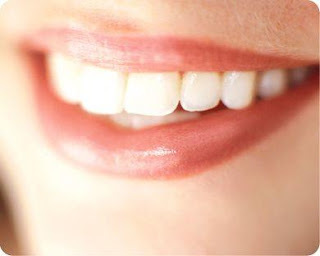 It is also the safest from the stand point that a dentist would have first done an examination and made sure everything was fine for the whitening and if there is any recession of the gums, that area is protected from the whitening gel. The concentration of the gel used is also much more than what can be found in an over the counter product and for that reason the over the counter products cannot give the same level of results in that short period of time. So for people who either don't have the lifestyle to dedicate an hour or two a day with the trays or strips for a few days at a stretch (it has to be every day for a few days and not one day on and one day off) or dedication to stick with the regimen as directed on the product label or want instant results, then for those people in office an hour treatment is great. The dangers of in office as compared with take home are that bc of the higher concentration of the whitening gel used in the in-office as compared with the take home or over the counter, there is also the increased risk of sensitivity during the session which could linger for a few days after. The danger of the take home or over the counter whitening gels is that one can use too much and swallow the extra that leaks out of the tray or from the strips, no major harm unless its a tube full, just unpleasant tasting. What are the biggest mistakes people make when whitening teeth at home? They tend to use too much material in the tray where the extra material leaks out of the tray and they swallow it. People also tend not to pay strict attention to the directions and either don't use it for the appropriate amount of time or not regularly enough. Also people tend to continue with the habits that cause staining to develop, countering the effects of the whitening on a daily basis. What the most popular at home whitening kits and why? Which do you think are the best, safest, most effective? Crest whitestrips and rembrandt are the most popular and that is only bc of the consistant branding and marketing of the product, in my opinion, they are no more or less effective than some other commercially available products with similar concentrations and duration of use. It's really hard for me to state one products superiority over the others because they all accomplish the same task, perhaps one sooner than the other or one less expensive than the others. This is a very informative post. I agree with most points of Dr. Sing. It is true that people who are using at home teeth whitening tend to use too much material in the tray where the extra material leaks out of the tray and they swallow it. That is why I am also using the Crest 3D White Whitestrips since it is dentist recommended lasting for up to a year. Aside from that, in a review from http://www.howtonaturallywhitenteeth.com/how-to-whiten-teeth-at-home-crest-3d-white-whitestrips/, it is also been stated that Crest 3D White Whitestrips has advanced seal technology that allows the user to go about their routine while it whitens the teeth. For me, this is one of the best remedies for whiter teeth at home. This really is truly fascinating, You are a extremely skilled blogger. I’ve joined your rss feed and sit up for searching for more of your fantastic post. Also, I've shared your web site in my social networks! Thanks for these info. I truly believe that you can change your appearance a great deal with a simple teeth whitening procedure, rather than have a wardrobe makeover. If your teeth are not white enough, you might get extremely conscious and uncomfortable while interacting with people. Not all treatments are suitable for everyone, so it is important to check with your dentist before deciding which tooth whitening option to go with. It is well known that a good first impression is made with a bright smile. Someone having discolored teeth would surely be hesitant to smile leading to loss of confidence and self-esteem. The good news is that teeth whitening make it quite possible to get back the beautiful white smile and restore your confidence. If your tired of dealing with not smiling in important family photos, being talked about behind your back, or dealing with teasing from friends about your "coffee and smoker" stains, it is best to consult your dentist for more options.